Con i premi a Tom Hiddleston, Olivia Colman e Hugh Laurie per The Night Manager e a Claire Foy e The Crown come miglior attrice e miglior serie drammatica, la notte dei Golden Globes 2017 e’ stata un vero e proprio trionfo seriale per la tv britannica. In particolare quello di The Crown e’ un successo strameritato per la magnifica serie targata Netflix e scritta da Peter Morgan, gia’ autore del film The Queen e dello spettacolo teatrale The Audience, a cui la serie e’ in parte ispirata. 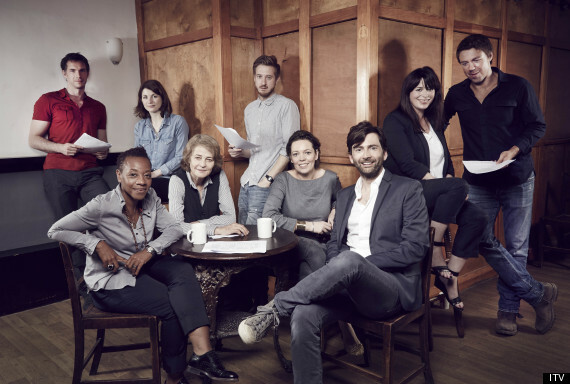 One of the best series of 2013, ITV’s Crime Drama Broadchurch is coming back for a second season, starting January 5th. After reprising his role in the (utterly pointless) USA remake of the series, Gracepoint, David Tennant will be back as DI Alex Hardy along with Olivia Colman as DS Ellie Miller (who won a Bafta Awards last year for this role) and most of the cast of the first season. Joining the cast, new entry Charlotte Rampling, James D’Arcy and Marianne Jean-Baptist. Once again, the small coastal town will be at the center of a mistery, this time about the disapperance of two girls, as hinted in the trailer.